Leo Maxwell grew up in the shadow of his older brother, Teddy, a successful yet reviled criminal defense attorney who racked up enemies as quickly as he racked up acquittals. As children, their father was jailed for the murder of their mother, and Teddy was left to care for Leo who tried to emulate his older brother, even following him into the legal profession.The two are at lunch one day when Teddy, supposed to give the closing argument of his current trial that afternoon, is shot: in public, in cold blood, the shooter escaping without Leo being able to identify him. As Teddy lies in a coma, Leo comes to the conclusion that the search for his brother’s shooter falls upon him and him alone, as his brother’s enemies were not merely the scum on the street but embedded within the police department as well. 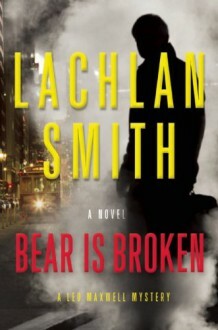 As he begins to examine the life of a brother he realizes he barely knew, Leo quickly realizes that the list of possible suspects is much larger than he could have imagined.The deeper Leo digs into Teddy’s life, the more questions arise: questions about Teddy and his ex-wife, questions about the history of the Maxwell family, even questions about the murder that tore their family apart all those years ago. And somewhere, the person who shot his brother is still on the loose, and there are many who would happily kill Leo in order to keep it that way.